ResusPlus Training provides Anaphylaxis training with Epipen and includes Jext and the new Emerade autoinjector to Doctors, Nurses, Dentists, HealthCare Workers, Nurseries as well as Schools. It is taught only by Resuscitation Council accredited instructors so you know you are being taught by clinical experts. 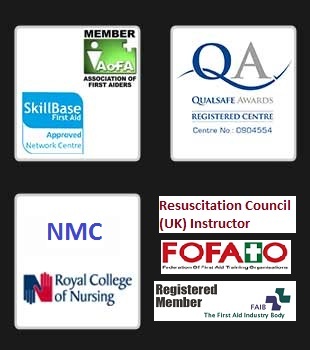 Much of our work is in delivering on-site Basic Life Support/CPR and anaphylaxis training with Epipen, Jext and the new Emerade autoinjector to teams. The course emphasises the key messages of avoiding allergen exposure and how to recognise the early symptoms of a severe life threatening allergic reaction. It also gives comprehensive advice on what to do if a reaction does occur. The course works through current Resuscitation Council UK Guidelines and covers both adults and paediatrics as needed. Anaphylaxis training is approved by Allergy UK, the leading medical charity for people with Allergy, Food Intolerance & Chemical Sensitivity. This course is suitable for all healthcare professionals who deliver vaccinations to patients and others who require annual anaphylaxis training. Handouts and a certificate of attendance is provided for successful candidates.